This is a Non-Permanent, Part-Time position. 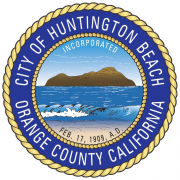 The City of Huntington Beach is accepting applications for positions assigned to the City's beach parking operation and downtown parking facility. Applicants MUST be at least 18 years of age or older. These are temporary, part-time positions working various shifts, including late evenings, holidays and weekends. Must have previous cash handling experience. Temporary/part-time employment is restricted to 1,000 hours within a 12-month period (July 1 - June 30) and does not qualify to receive City benefits, except those required by law. The City does not belong to the Social Security system. However, enrollment in an alternative retirement program is mandatory which requires an employee contribution of 7½% of base earnings to the Public Agency Retirement System (PARS). There are no rights to employment and employment may end with or without cause or advance notice. Further restrictions apply to CalPERS Retired Annuitants. Receives monies from patrons and provides change when necessary. Maintains accurate account of revenue collected within the parking facility. Maintains records of all autos entering the facility. Answers questions from the public and performs some light maintenance. The preceding functions have been provided as examples of the types of work performed by employees assigned to this job classification. The City at its discretion, may add, modify, change or rescind work assignments as needed. Perform basic mathematical calculations with accuracy. Follow written and oral directions. Work cooperatively and effectively with the public. Some high school and previous cash handling experience or related cash handling training. Must be available to work weekends, holidays, late nights and various weekly shifts. Must have a valid CA Driver's License at time of appointment. Employees regularly assigned/required to drive a city or personal vehicle in the course and scope of work shall be required to participate in the DMV Employer Pull Notice program due to the performance of field duties that may require operation of a City vehicle. An official City of Huntington Beach on-line job application must be filled out in its entirety. Applications will be reviewed and those applicants best meeting the City's needs will be invited to a written math test (scored on a pass/fail basis). Those passing the written test will be invited to a hiring interview from which appointments may be made. Upon a conditional offer of employment a pre-placement drug screen (select positions), TB Screening and California Department of Justice (DOJ) Live Scan fingerprinting must be completed with acceptable results. Upon hire, employee is subject to further reporting from DOJ via subsequent arrest notification. Other background reports may also be conducted. PLEASE NOTE: Our primary means of communication with applicants is sent via email; therefore, please include a valid email address on your application. The City of Huntington Beach is located on the shore of the Pacific Ocean in northwestern Orange County, 40 miles south of Los Angeles and 90 miles north of San Diego. As the fourth largest city in Orange County, with a population near 200,000 residents, Huntington Beach is known as “Surf City USA” due to its abundance of beaches, sunny, warm Mediterranean climate and casual lifestyle. Huntington Beach covers 28 square miles of land, 26 square miles of water, and is the 24th largest city in California. With more than 8 miles of uninterrupted beach along the Pacific Ocean, the City also plays host to an annual visitor population of over 11 million people, especially during the summer, special events and weekends. Huntington Beach has one of the largest pleasure piers in the world and has the longest concrete pier in the State. The City’s park system includes 58 public parks (with a dog park), riding stables and the largest city-owned and operated regional park in Orange County — Huntington Central Park. Also within the City’s boundaries are five recreation centers (including a senior center), three miles of equestrian trails, two golf courses, 72 tennis courts, a marina and a protected wildlife preserve. Running parallel to Pacific Coast Highway and just steps from the ocean is an eight-mile strand perfect for biking, inline skating, jogging or a leisurely stroll. The City is centrally located to all major attractions in Orange County including the Disney Resorts, the Orange County Performing Arts Center and Repertory Theater, and the Long Beach Aquarium of the Pacific. The City is home to the International Surfing Museum, the Surfing Walk of Fame, Bolsa Chica Ecological Reserve, Huntington Harbour and the Huntington Beach Art Center. Huntington Beach draws some of the largest crowds in the world to such professional sporting events as the U.S. Open of Surfing, Van’s World Championship of Skateboarding and AVP Pro Beach Volleyball. There are 35 elementary schools, five public high schools and one community college (Golden West College) located within Huntington Beach. The City has a world-class library located within the 365-acre Central Park as well as four additional branch libraries. In addition, Orange Coast College; the University of California, Irvine; and California State Universities at Long Beach and Fullerton are located in close proximity. There are over 117,000 households within a five-mile radius of the Huntington Beach Civic Center. The average family household income is $122,851, ranking one of the highest in the nation based on the top 100 largest cities in the country. Founded in the late 1880s, Huntington Beach was incorporated as a Charter City in 1909. Huntington Beach has a City Council/ City Manager form of government. The City Council has seven members who are elected at large, on a non-partisan basis, to four-year overlapping terms. City Council members are limited to two consecutive 4-year terms. There are three elected depart-ment heads - the City Attorney, City Clerk and City Treasurer. The position of Mayor is filled on a rotating basis. The City of Huntington Beach is organized into 13 major departments including City Treasurer, City Clerk, City Attorney, City Manager, Community Development, Community Services, Finance, Fire, Human Resources, Information Services, Library Ser-vices, Police, and Public Works.